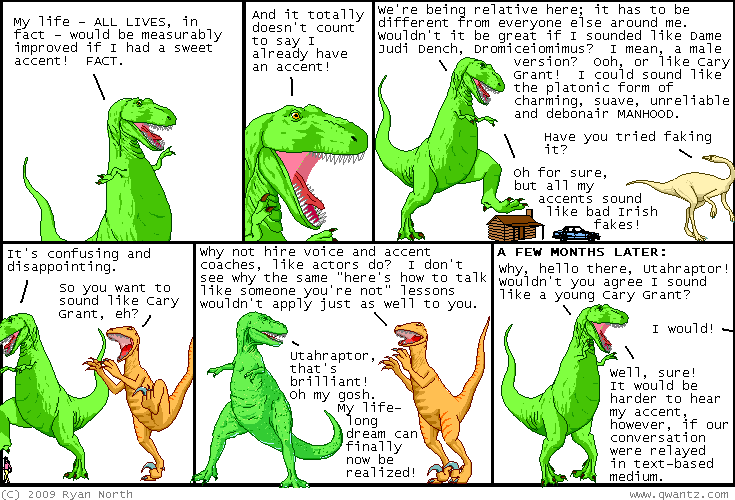 Dinosaur Comics - August 21st, 2009 - awesome fun times! –Pretty darned sweet, my friends! August 21st, 2009: Today's Shortpacked about Archie and Betty is great, as is today's Cat And Girl about Mavis Beacon. Two great comics on this here internet we call the internet! One year ago today: the best bathroom graffiti i ever saw was "i am a walking poo factory", all lowercase, just like that. it was written in small letters, sad and confessional.